By staying aware of artists who are working today, educators can invigorate their lives and their classrooms with new and expansive ways of looking at contemporary life and the world. Here are a few artists to get started, along with suggested connections that can be made to subjects and themes that you might be addressing with your students. Marina Abramović is a performance artist based in New York. Like other performance artists, her work uses the body and time as the primary mediums. 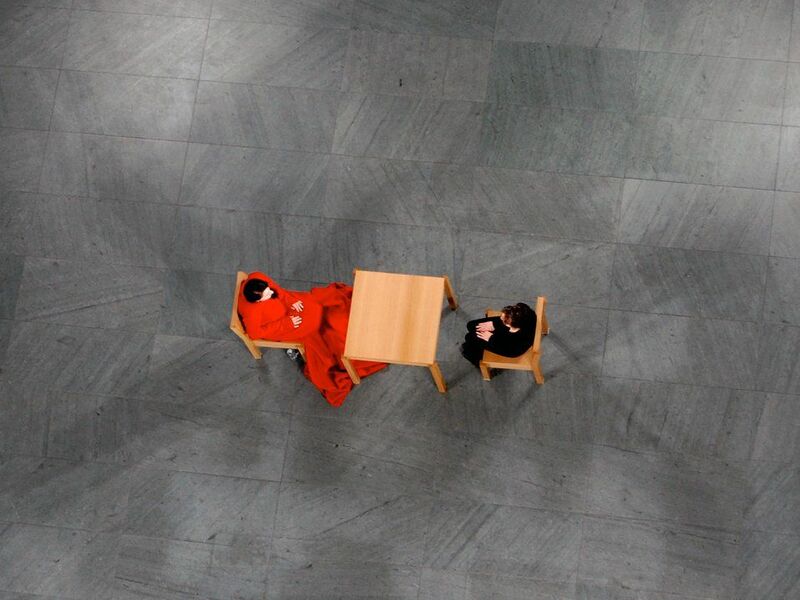 Abramović's most famous work involved her sitting in a flowing red dress at MoMA and holding the gaze of museum visitors over the course of a week. Connection: Abramović makes us reconsider society's relationship to the body. We become aware of our own restrictions, rules, and culture around how the body is treated and viewed in contemporary culture. El Anastui is a Ghanaian sculptor who works with found materials that others might consider junk, such as bottle caps and rusted sheet metal. However, by piecing them together into large-scale objects that flow and shimmer, his artworks both transcend and honor the original material. Connection: El Anatsui's work reminds us that materials can have purpose and carry an inherent beauty that goes beyond their designated use, and in that way his work turns our attention to human consumption and ecology. Burtnksky is a Canadian photographer who focuses on the post-human scale of big industry and its industrial impact on the landscape. He uses a large format camera to capture the enormity of mines, factories, and industrial waste. He then prints them at wall-size scale. In his artworks, the human figure often appears miniscule and somehow insignificant. Connection: Burtynksy's work makes us mindful of human activity that is somehow inhuman due to the scale and the impact it has on the planet. JR is a French street artist and photographer of Algerian decent. Like his contemporary Banksy, JR's identity is a secret, and like Banksy, his art makes pointed commentary about contemporary life and politics. Connection: JR's work is centered around portraitures blown up to supersized scale and displayed in public spaces. His subjects often are immigrants and other marginalized members of society. His work brings public awareness to the plight of the disenfranchised. Maya Lin is an American designer trained as an architect known for her public sculpture and landscape art. She became famous for designing the Vietnam Memorial in Washington, D.C when she was 21 years old, and widely admired for taking a stand against the backlash to her modernist design. Connection: Lin's career and approach to public art is a testament to balancing artistic vision with the wishes and desires of public opinion in a way that is both respectful and courageous. Sarah Sze is an American installation artist and sculptor. Her work bridges architecture, sculpture, and painting and uses everyday objects such as tea bags, light bulbs, and ladders. Her work deals with loneliness and the human need to connect to others. Connection: Sze shows the beauty of everyday objects and makes us consider the use of the physical space around us and how it can help create connection and common ground. Kara Walker is an American who works with silhouetted cut outs, which has its origin in one of the few acceptable art forms for aristocratic women of the Victorian era. However, Walker's art comments upon the horrors of slavery and the general oppression of Black women in American history. While her work is elegant and visually detailed, it creates an ambiguity that is weirdly playful and nightmarish at the same time. Connection: Walker's work makes us reconsider the mythologies of American history vs. the often harsh reality of that history. Her use of silhouetted human figures that lack individuality makes the viewer feel complicit in the tragedies she depicts. Ai Weiwei is a Chinese sculptor who has become the most well-known dissident in China. Ai Weiwei came into international prominence when he was asked to design the Nest, the primary stadium and architectural centerpiece for the 2008 Olympics in Beijing. In 2007, the Sichuan earthquake killed nearly 70,000 people, including over 5,000 children who were being schooled in unsafe, poorly constructed buildings. Ai Weiwei protested the government construction standards by honoring the students' deaths with two amazing artworks, which didn't make the Chinese government happy. 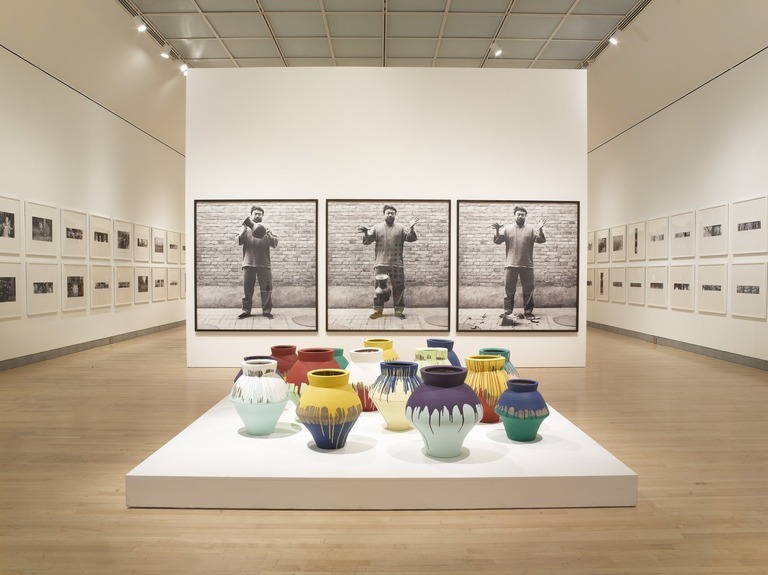 Ai Weiwei has since, through direct commentary or through his artworks, critiqued the government's anti-democratic nature and the corruption relating to the preparation of the Olympics itself. For these acts, Ai Weiwei has been imprisoned and was prevented from leaving the country for two years. Who are your favorite living artists? Please share them in the comments section below.